Angsana Bintan, located on Bintan island (Negeri Segantang Lada) in the Riau Archipelago of Indonesia, will delight the nature lover in you. 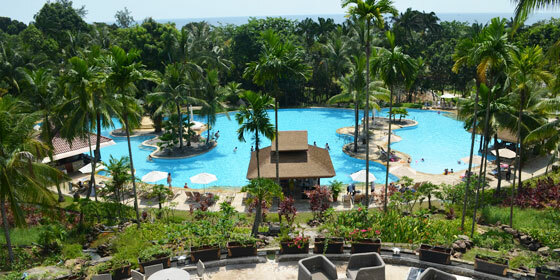 Go on the Bintan Nature Walk and Tree Walk as sea breeze rustles your hair. 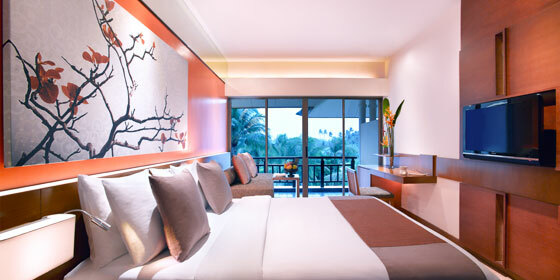 Resort combines tropical lifestyle and Asian hospitality with the comforts of modern living. Tee off amid forests and beaches, study aquatic life from close quarters, or enjoy the sea breeze from the balcony of your suite. 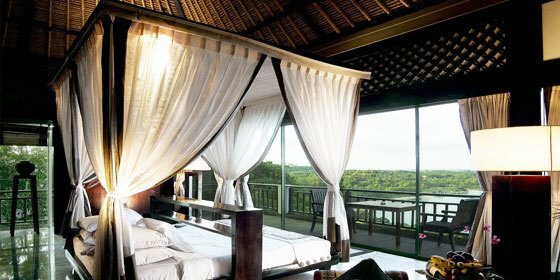 Experience the magic of a tropical rainforest. Take the full-day South Bintan Heritage Tour to study the rich heritage of Bintan and the lifestyle of its people. Enter a tropical haven that offers seclusion and escape for the senses, located at the heart of vibrant and busy South East Asia. Overlooking a breathtaking view of the South China Sea, Banyan Tree promises an unforgettable and rejuvenating experience. 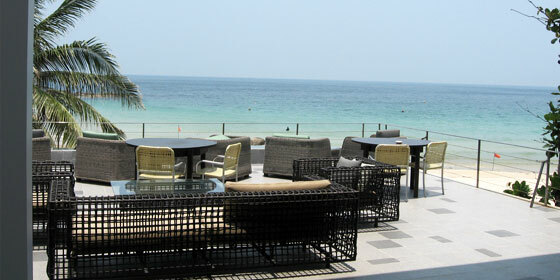 The only all villa resort on Bintan is just a 45 minutes ferry from busy Singapore. Offering a talcum-white private beach, a championship golf course and the acclaimed Banyan Tree Spa, this world-class resort will recharge you, body and soul. 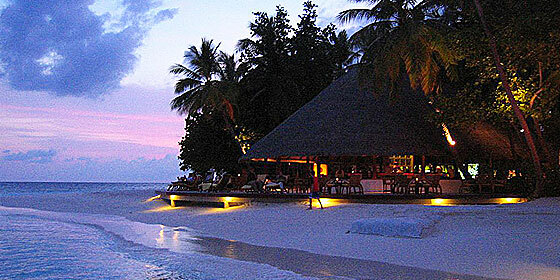 Experience the natural sights and sounds of an island stay set in one of the oldest tropical rain forests. 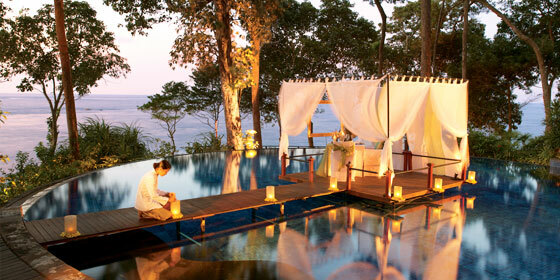 Discover inner peace, tranquility and rejuvenation as you sink into a different world at Banyan Tree Bintan. 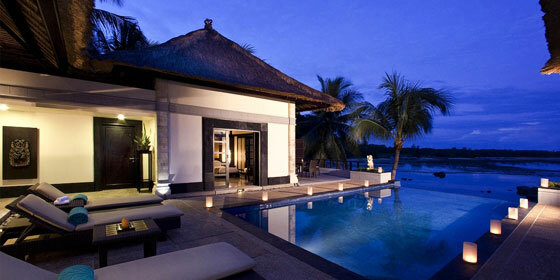 The Bintan Lagoon Resort hotel offers a range of deluxe accommodation to suit couples, families and groups. 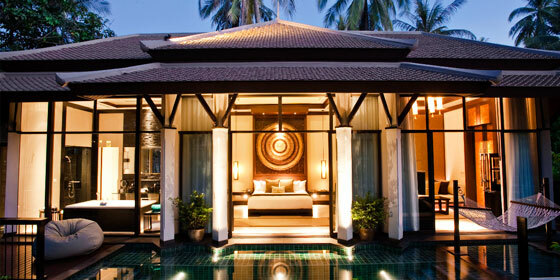 All 473 rooms, suites and villa accommodation within the resort. 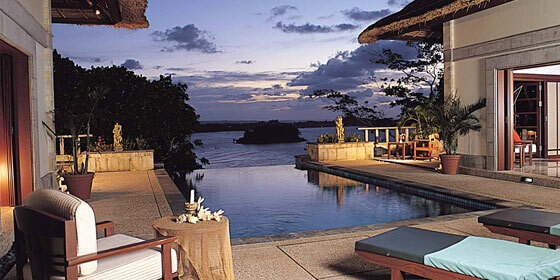 Bintan Lagoon Resort is a hotel and resort on the north coast of Bintan, Indonesia. 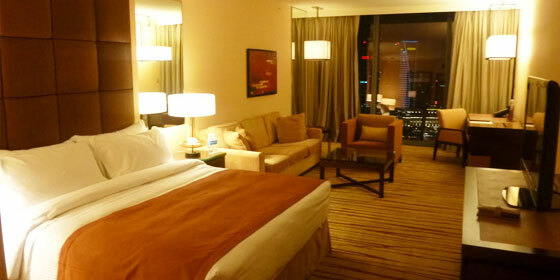 It is located 55 minutes by high-speed ferry from Singapore. The resort, which is set in over 300 hectares of gardens overlooks the South China Sea and the archipelago of the Riau Islands. The resort has a notable golf course. 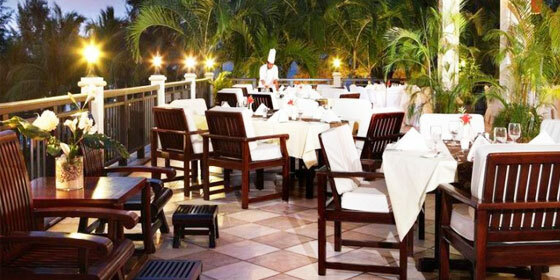 Escape to Nirwana Gardens and you will be pleasantly spoilt for choice. True to its name which translates into "perfect bliss", Nirwana Gardens serves up a heady concoction of five different holiday experiences on the north-western coast of Bintan Island. Spanning 330 hectares of lush tropical land and powder-soft beaches, there is Nirwana Resort Hotel – the sun-kissed paradise for fun seekers Mayang Sari Beach Resort – a reclusive getaway for the urban-weary; Nirwana Beach Club – a haven for seasports lovers Banyu Biru Villas – homes for cozy reunions and the magnificent Indra Maya Pool Villas – when ultimate privacy and luxury is a priority. 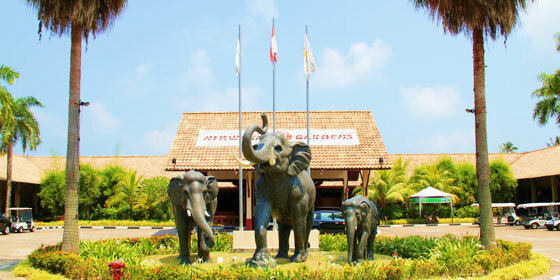 Location : The preferred airport for Nirwana Resort Hotel & Villas is Singapore (SIN-Changi) - 46.6 km / 29 min. 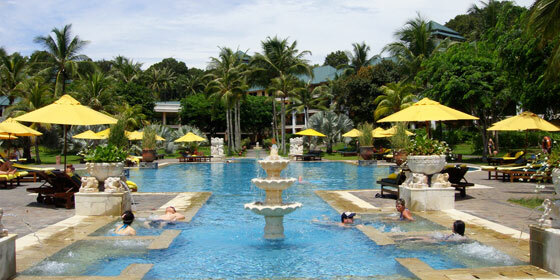 Bintan Island is an island in the Riau archipelago of Indonesia. Singapore, the closest major city, is a 45-50 minute trip by motorized catamaran across the South China Sea from Bintan Resort area in the northwest of the island. Bintan is the largest among the 3,200 islands of Riau Archipelago and is located 10 kilometers (6.2 mi) east of the Batam Island. March to early November is the dry and the quiet season with clear sunny days. Winter season lasts from late November to March. 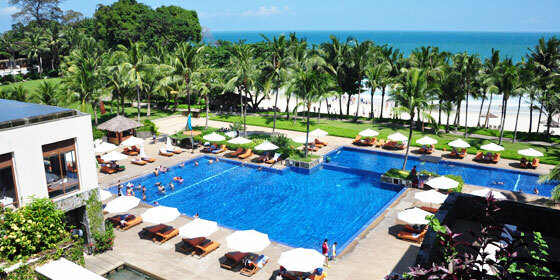 Location : The nearest airport to Bintan is at Batam Island. 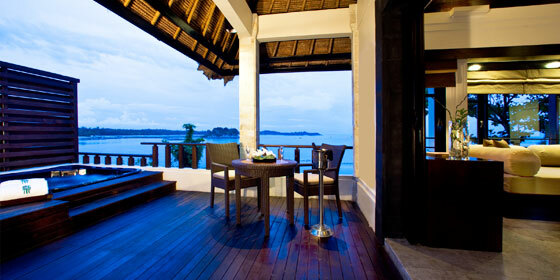 From here, chartered ferry services are available to Bintan and Bintan Resorts.